Skin consultations form an integral part of many services at professional salons, spas, cosmetic clinics and practices in order to determine the best course of action when treating a client’s skin concern. Accuracy in the consultation findings is key to achieving the most optimum treatment results and therefore satisfying a client’s needs and expectations (and a happy customer is a return customer). The naked eye can only show us so much about our skin, which is why therapists and practitioners enlist the help of digital skin measuring tools and imaging to provide accurate data and analysis so the fundamental concerns can be addressed from the get go. Skin analysis technology is also great for tracking progress along a client’s skin health journey which creates a space of trust, loyalty, transparency and superior level of professional care between a therapist and client. Interactive consultations with OBSERV 520 encourage both the skin therapist and client to study skin imbalances in dramatic detail, providing an informative, reliable service and visually supportive opportunity to organically transition consultations to confirmed treatment bookings. Why Incorporate Technology Into Your Skin Analysis? Helping a client to truly understand their skin is the first step to building customer trust and loyalty. Skin analysis technology acts as a strong visual and scientific support tool to back up your diagnosis and recommendations during the skin consultation process. When clients can visually see the imbalances and irregularities in their skin at microscopic range, or guage the characteristics of their skin with clearly presented and measured scientific data, they are more likely to follow through with booking a treatment than when receiving a purely verbal skin examination. 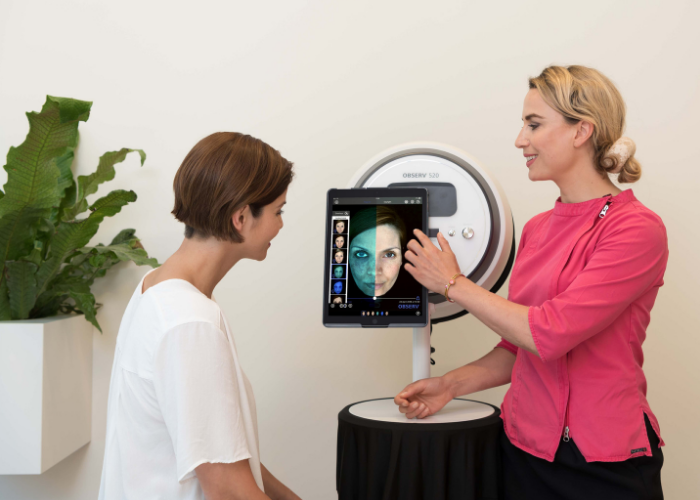 A portable skin scanner also allows beauty therapists to diagnose skin conditions with greater accuracy, as these tools are designed to see beyond what the human eye can. This paves the way for more precise treatment and product recommendations, and reduces the risk of subsurface concerns being overlooked. Many skin conditions originate at the dermal level, but these can only be identified with the help of highly detailed skin analysing devices. 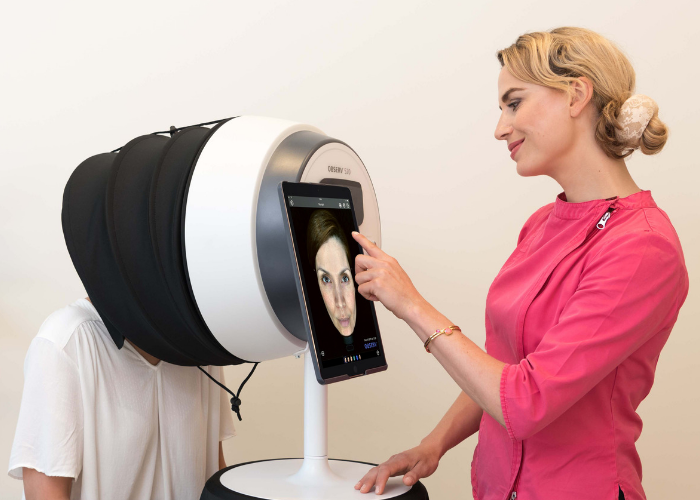 When a beauty therapist can develop a comprehensive treatment plan based off the data generated with a technology-assisted skin consultation, better results can be expected. The customer’s experience is further enhanced when the skin analysis tools are used throughout the entire treatment journey to track the changes and improvements in their skin. It is professional details such as these that really help the client to feel that they are receiving the very best care and attention for their skin.